Calling all New Englanders and fellow wanderers. Help me plan my next trip (end of September through first week of October). 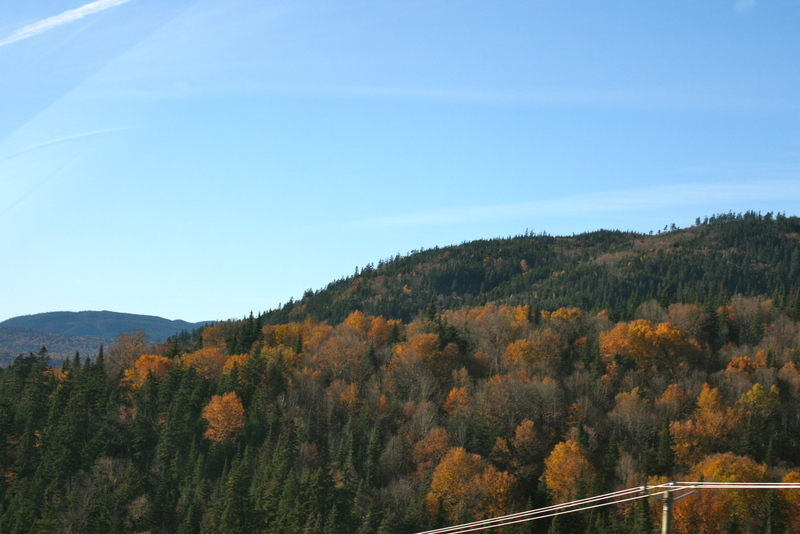 I am deep in the midst of planning a leaf-peeping road trip that begins in Boston and ends in Quebec City. I plan to cruise through Maine, Vermont, New Hampshire on the way there and back. I will be writing about the experience in great detail. I want you to tell me what to see, where to go, what to eat, what to do. Challenge me. Should I shark dive in Rhode Island or eat lobster ice cream in New Hampshire? If you think I should do something that you’ve never done, I want that too! Let me try it out for you and give you the goods on whether it was worth it or not. I am open to everything. Pretend my budget is limitless. If I accept your challenge, I will write a letter to your blog from this blog featuring a write up of your recommendation. I am hoping to connect and help promote travel bloggers, travel writers, and wanderers. Comment below, email me at halmcreative[at]gmail.com or tweet to me at qctravelwriter. Cheers! Categories: Travel Hilarity | Permalink. I don’t know if you’re going as far south as Connecticut, but you can hug beluga whales in the aquarium there. They are surprisingly hugable. Sounds great. I might stop in Connecticut. The nutmeg state! I consider it to be the beluga-hugging state, but yes, you are technically correct.